Facility Security Officer (FSO) Posted On: 2017-09-14 Closing On: When filled Category: Administrative Location: La Plata, MD Job Type: Part Time Travel Required: No Percent of Time Travel Required N/A Citizenship Requirement: Must be U.S. Citizen Clearance Requirement: Top Secret Education: HS Diploma or GED Position Description: The Facility Security Officer (FSO) is responsible for implementing the industrial security program and ensuring company and customer security requirements are met. The successful candidate will interface with all levels of AveningTech personnel and government management personnel to ensure contract security compliance with National Industrial Security Operating Manual (NISPOM), Contract Security Classification Specification (DD254) and Program Classification Guides. The position requires a self-motivated candidate who is capable of working in an independent or team environment with minimal direction. The candidate will be required to conduct security self-inspections, apply risk mitigation methodologies, support customer assessments, and implement security measures to meet requirements. The FSO must possess the confidence to make critical security decisions concerning high-value contracts and to implement security procedures that will prevent unauthorized access to company and government facilities or information. Location flexible; possibility for remote work if the candidate meets requirements below. Required Skills: • Self-starter with ability to work independently. • Ability to interpret and apply company and government security policies. • Provide clear guidance to company employees, and recommend modifications to operations policies or procedures as appropriate • Expert level knowledge of the NISPOM and other relevant Federal Government security guidance. • Ability to manage SAP programs, if needed. • Thorough understanding of security databases such as JPAS, eQIP, eFCL, and ISFD • Ability to administer day-to-day security program: personnel processing, program reviews, document control system, audits & self-inspections, violation investigations & reports, receipt/dispatch/destruction/mail logs, visit requests, etc. • Experience creating and conducting initial security briefings, debriefings, indoctrinations, pre/post foreign travel briefings and refresher briefings, as appropriate • Ability to develop and establish an effective security awareness, training, and education program. • Experience with implementing and maintaining Insider Threat programs. • Minimum 4 years of experience in Industrial Security • Strong communications skills. 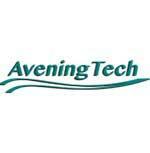 • FSO certification with minimum 2 years of experience as an FSO Please click on link below to be directed to our website for your application process: https://www.aveningtech.com/index.php/employment/open-positions2 Please do NOT apply if you do not meet the requirements for this job.